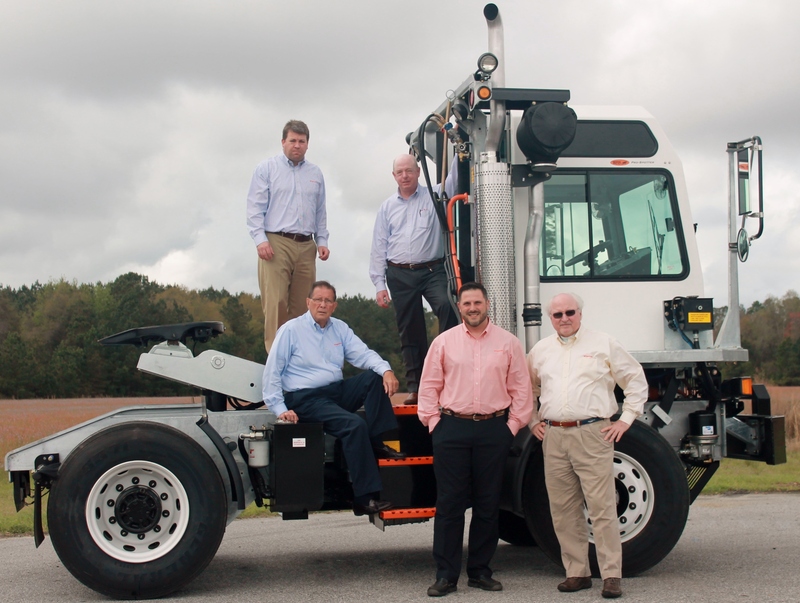 SAVANNAH, GEORGIA- TICO Manufacturing reached a market leading milestone last week, with the 400th Galvanized Pro-Spotter yard tractor rolling off of the assembly line at its 117,000 square foot manufacturing facility in nearby South Carolina, bound for immediate delivery. Since bringing the first galvanized truck to the yard tractor market in 2011, TICO has steadily ramped up production of its innovative offering to meet the recognized demand for practicality in the market. “Necessity is the mother of all inventions”, said Frank Tubbert, General Manager of TICO Manufacturing. “Creative product design solutions to simplify and at the same time decrease lifecycle costs for our customers are central to the TICO way…we hit the nail on the head with this one”. The increasingly popular galvanized Pro-Spotter option includes complete galvanized protection on all major metal components of the yard tractor, including the entire continuous weld frame, cab protection bar, cab floor, fender, and fifth-wheel boom assembly. These protected components, along with the standard high-strength fiberglass cab, make for the most corrosion and damage resistant yard tractor on the market today. The galvanized Pro-Spotter thrives in virtually all applications and environments, making for a far more durable finish than the traditional painted truck option on the market. The TICO model is simplicity that breeds the most durable yard tractor in the industry with the lowest cost of operation and life cycle costs combined with maximum uptime. “By choosing the galvanized Pro-Spotter, the customer gets the biggest value on the yard tractor market today” stated Tubbert. TICO has been a pioneer in fleet services, terminal services, and manufacturing for over 46 years. Born on the ports, the TICO Pro-Spotter is a product of the most effective R&D strategy on the yard tractor market today; being a retail manufacturer that also operates and maintains its own tractors. TICO operates and maintains a fleet of over 1400 yard tractors across North America daily.